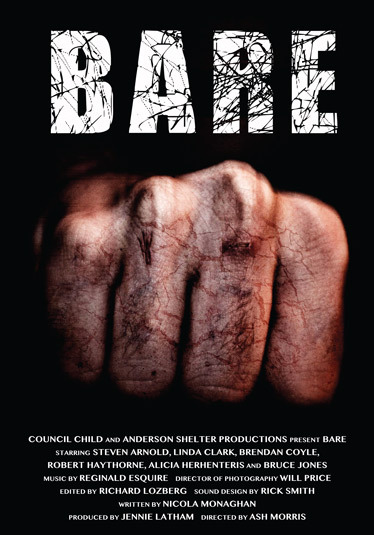 Director Ash Morris once again turned to Energized Graphics for help promoting his new movie, Bare. UK based director, Ash Morris (Council Child), creates short films in the areas of British realism and working class cinema. 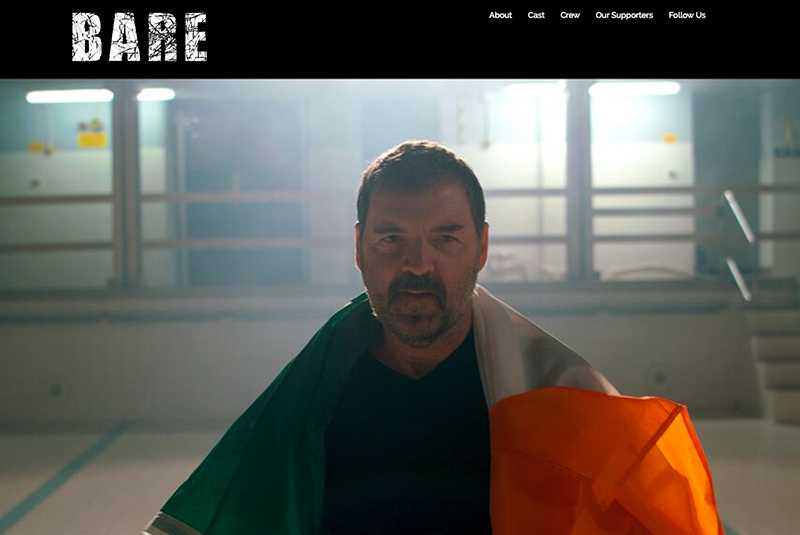 Bare was made on a shoestring budget, was co-produced by Anderson Shelter Productions, and stars actor Steven Arnold (Coronation Street), Alicia Herhenteris, Linda Clark (Doctor Who), Robert Haythorne (The Selfish Giant), Bruce Jones (The Full Monty), and Brendan Coyle (Downton Abbey). We used Twitter to help Morris promote a successful Indiegogo campaign to fund the film. For the social media campaign we created fun graphics for others to share on Facebook and Twitter or use as iPhone wallpapers in addition to tweeting regular calls to action for people to back the project. During fundraising, we had the official site url, http://barefilm.co.uk, lead people directly to the Indiegogo page. 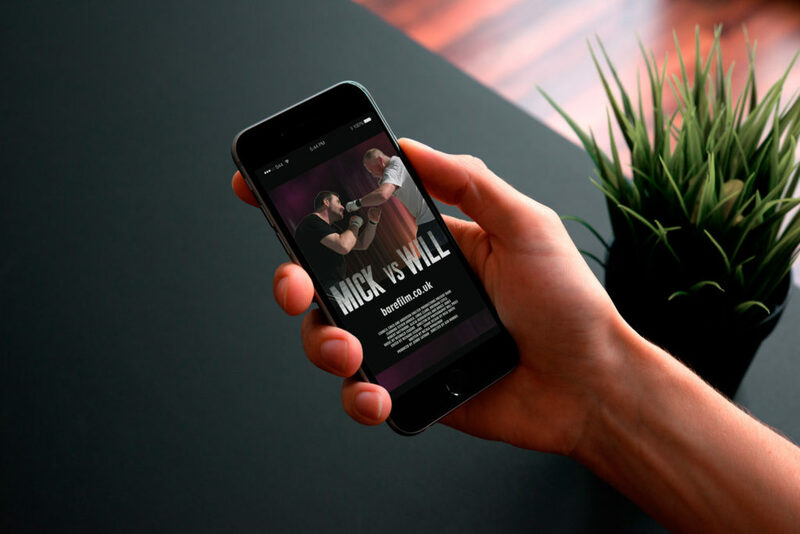 Once funding for the film was reached, Energized Graphics adapted an existing WordPress theme to be a responsive, mobile-first site in the style of similar independent films. It features large stills from the movie, as well as information about the cast and crew. There’s also a news section with updates about the film and the Indiegogo rewards. Ash also used our design staff to create a movie poster that features a grimy, bare-knuckled fist. This will be given to Indiegogo backers in small and full-sized versions, autographed and framed for those who donated at a higher level.